Mondays. I know it is easy to think of Mondays as dreadful, but I try and take the more positive approach. Mondays are the beginning of my work week. A new start to making moves to reach my career goals. Mondays are another day that I'm alive and healthy with a loving family and friends, and a great job. I am one of those people who can see the negative in anything, so I really strive to be super motivating and see the positive in everything. This post contains a few affiliate links, but these brands are incredible! Anyway, I had been eyeing the Longchamp Le Pliage tote for about three years and when I got my job at iHeartMedia, my first "adult" job, I decided to splurge and reward myself for the accomplishment! This bag is incredible - durable, sleek, and fashionable. 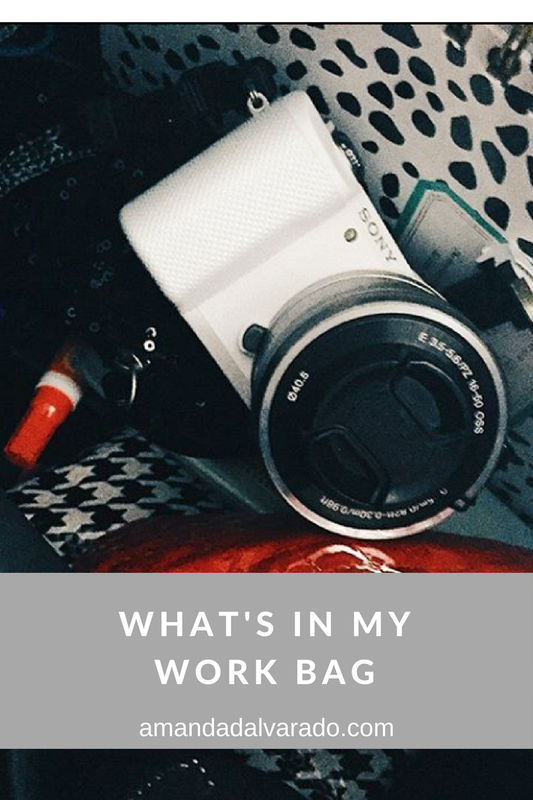 This is my work bag, but because I also use it as my purse during the work week, rather than bringing a separate purse, I also keep my day-to-day necessities in it! I have my wallet, which I got from Target a couple of years ago. I have an Ipsy bag that I keep beauty/health products in like medicine, a travel toothbrush and toothpaste, deodorant, mascara, lip balm. I have another Ipsy bag that I keep more toiletry-type items in - girl products, underwear. Stuff like that because emergencies happen. I also have a sequin pouch that I keep pens, highlighters, and stuff like that in! Other random items that I keep in my bag at all times are my business cards, a Tide To Go pen, Bath and Body works hand sanitizer, and an extra phone charger. I also keep my Apple headphones in my bag at all times. I really want Apple AirPods! If you have them, let me know what you think of them. I read that there are rumors about Apple releasing a newer version, so I'll probably wait and see. 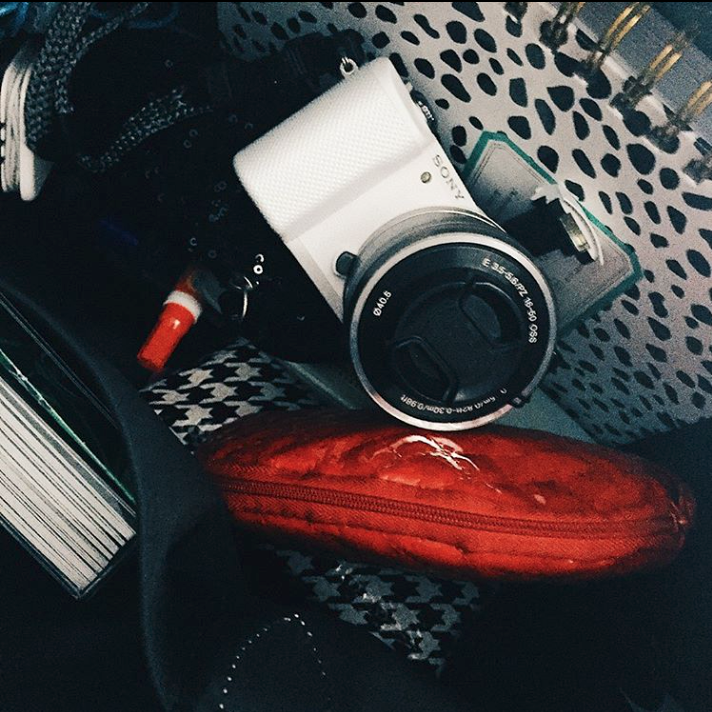 My main work items that I bring are my MacBook, DayDesigner, and my Sony Alpha 5000 camera. I have a computer at work, but having my MacBook makes things a little easier, especially when I have to use AirDrop or something. My DayDesigner helps me stay on track and I don't use my camera that much during work, but it's nice to have it in case I need it or if I'm going to vlog. What are your favorite work or school bags? Let me know!